Although this website only looks to include quality, safe and relevant external links, you should always adopt a policy of caution before clicking any external web links listed on a website. The owners of this website cannot guarantee or verify the contents of any externally linked website despite their best efforts. Please note that you click on external links at your own risk and this website and its owners cannot be held liable for any damages or any distress caused by visiting any external links mentioned within this site. Communication, engagement and actions taken through external social media platforms that this website and its owners participate on are subject to the privacy policies held by each social media platform respectively. You are advised to use social media platforms wisely and communicate or engage with them with due care and caution with regard to your own privacy and personal details. This website or its owners will never ask for personal or sensitive information through social media platforms and encourage users wishing to discuss sensitive details to contact them through primary communication channels such telephone or email. Every effort is made to ensure the accuracy of information and photos featured throughout this website. However, due to the bespoke nature of our services, specific details about any item, range, product or service are subject to change and must be quoted for on a case-by-case basis. Any price information shown on the website is a guide price only.  Please contact Structura UK for an accurate quote based on your specific requirements.